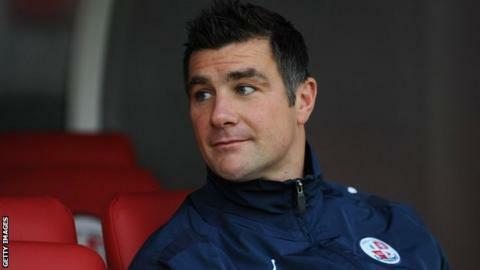 Crawley Town manager Richie Barker has challenged his players to replicate their performance against Doncaster during the rest of the season. The Reds drew 1-1 with second-placed Rovers on Monday but lie 12 points off the League One play-off places. "We have got to play like that on a regular basis now. I expect our energy levels to stay the same and to have the same attitude," Barker told BBC Sussex. "We have started the momentum and it would be nice to keep that going." Barker acknowledged that having only been promoted last season, it was tough to expect players to perform consistently "week in, week out". However, he described their display against Doncaster as "absolutely fantastic" and continued: "They took a game plan on board, bought into and and worked extremely hard. The energy levels were excellent. "Considering we played against a team that could have gone top, we totally dominated the game." Barker is hoping that an ankle injury sustained by captain Josh Simpson, which forced the midfielder to be stretchered off, does not prove to be serious. An X-ray has revealed his ankle is not fractured but the 25-year-old has to wait until a scan on Thursday to discover whether he has suffered ligament damage. "He says he felt a crack. He is a major miss to us if we lose him," said Barker. "We have got probably the busiest March anyone has ever known in football [with eight games] and it will be all hands to the pump. "We certainly don't need anyone as influential as Josh missing."